Meet Moorland from the Smoky Collection by Dance Legend: This is a violet hue with micro shimmer which I would describe as dust. The formula is on the thin side but that didn’t gave me problems with application. I used three very thin coats plus top coat. The ‘dust’ gives this polish an overall dusty look which I think is stunning. Dance Legend polishes are available directly at their website or at Hypnotic Polish. Ps. Have you seen their new Holodays Collection? Ahhmaazzinggg!!! 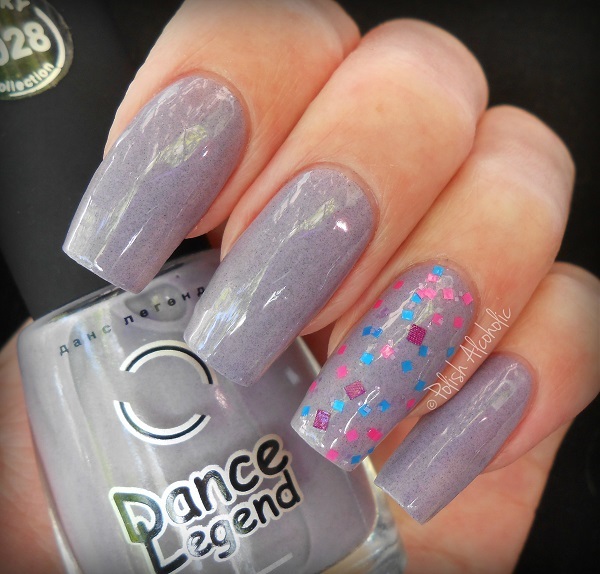 This entry was posted in Dance Legend and tagged blog, dance legend, dance legend moorland, moorland, nail polish, polish alcoholic, review, smoky, smoky collection, swatches by Polish Alcoholic. Bookmark the permalink. What a beauty! I love it.